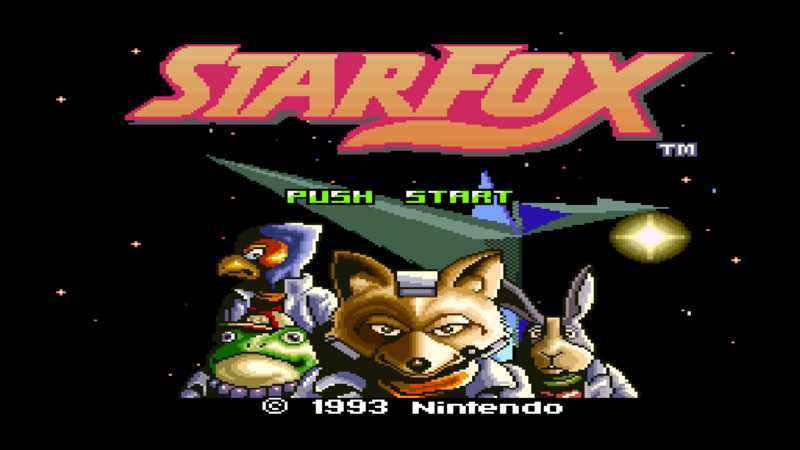 1993’s Star Fox was a landmark title for Nintendo. It took advantage of the FX chip to produce polygon effects that never would have been possible on the SNES otherwise. But it wasn’t just about the graphics, as Star Fox produced an arcade-style on-rail shooter that, at the time, was second to none on any home console, and it launched one of Nintendo’s many beloved franchises. Though what were once revolutionary visuals have become the game’s biggest drawback with age, and hold back what is otherwise a very fun shooter to this day. Gameplay is simple, but surprisingly engaging: Levels take on either a third-person or first-person perspective, and while Fox McCloud’s Arwing travels on a fixed path, players have the ability to move it around all corners of the screen. You fire lasers at enemies (one laser is the standard, though a power-up allows two at a time), and you can launch bombs to take out many foes at once. You can boost, brake and, of course, barrel roll. There’s really not much else to it than that, but the clever designs of the levels, as well as bombardments of enemies, ensure that players will always be kept on their toes. 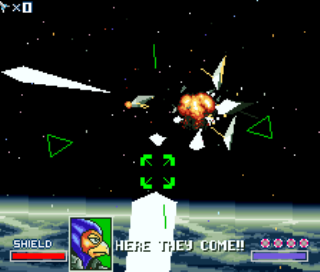 Star Fox used a unique level progression, as players could select three different paths at the start of a game, with each having a total of six stages. The first and final two stages are the same no matter what path you choose, but the remaining levels are unique to each path, giving the game some added variety and replay value. The stages usually only take a few minutes to complete, but you’d be surprised at how difficult they can be even in their brevity, with boss fights in particular often leading to game overs. The game becomes even more challenging if you’re looking to get your best possible score, since you not only are rewarded for your performance, but also for helping your teammates: Peppy Hare, Slippy Toad and Falco Lombardi. 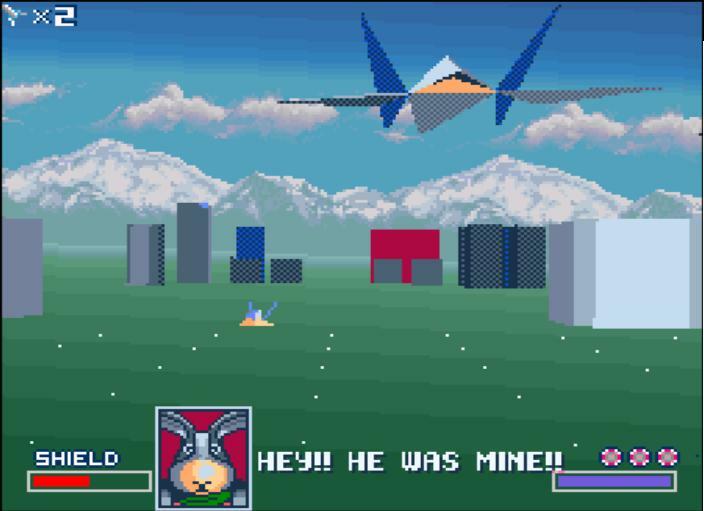 Star Fox had a sharp sense of personality even in its debut, even if it wasn’t able to fully show it off until Star Fox 64. The characters are simple but charming, with Peppy being the wizened member of the team, Slippy the bright upstart, and Falco the jerk who will ask for your help and then tell you to mind your own business after you save his life. Obviously, there was no voice acting for the characters at the time like there would be in Star Fox 64, but the characters’ dialogue is expressed through delightful gibberish sounds similar to what you hear in Animal Crossing today. Now about those visuals. While they were a revelation in their day, the game simply isn’t pretty to look at. The ships all look like vague shapes clumped together, backgrounds look like little more than filled in wireframes, and some of the scaling and rotation effects can actually be straining on the eyes (one boss in particular rotates the screen around in such a way that I had to pause and take a break before going back to finish him off, as the effect began to bother my eyes). It’s understandable that the game’s visuals might not hold up, since they were experimental and covering new ground. But when the majority of SNES games still look pleasing even today, it can be more than a little disappointing seeing how much Star Fox’s visuals have aged. Perhaps it wouldn’t be so bad, except that it can sometimes effect the gameplay, with many enemies and objects only coming into view once you’re right on top of them, and the perspectives can get tricky to differentiate, leading you to crash into obstacles and fail to grab a power-ups. Some of the lighting effects may be flat-out game-breakers for those with particularly sensitive eyes. Graphics certainly aren’t everything though, and for those who can handle the rough visuals, Star Fox still provides some good fun, not to mention a standout soundtrack. In a bit of a reversal from the usual, it’s the Nintendo 64 sequel that has more of the timeless appeal that anyone can enjoy, while the SNES title feels more like the experiment that many will still find engaging, while others may feel like it’s simply a relic. I never played the original Star Fox; I skipped right to Star Fox 64. In fact, it remains the only game in the series I’ve played. It’s definitely a good game, though I haven’t played it in quite some time to be honest. Anyways, it looks like Star Fox falls in the same category of games as Earthbound Beginnings and the original Metroid in that they feel like prototypes to their sequels on the next console. It seems like it would be difficult to play after having experienced the sequel first. Come to think of it, there was supposed to be a sequel to Star Fox on the SNES, but it was never released. It’s strange because unlike other examples, quite a lot of progress was made in this game’s development. I heard it made it to an early-alpha stage, but wasn’t quite polished to the point of playability until the ROM images made their way onto the internet and fans created a patch to fix the bugs. It’s been said that Star Fox 2 is one of the best unreleased games of all time. Apparently, a lot of ideas such as all-range mode and multiplayer originated from this unreleased title.